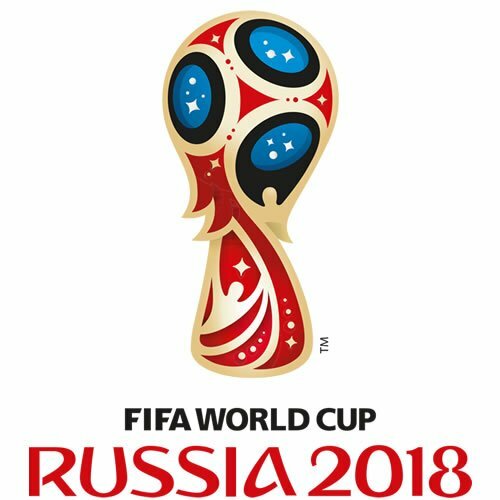 This year a World Cup year, and Russia are the hosts this summer. 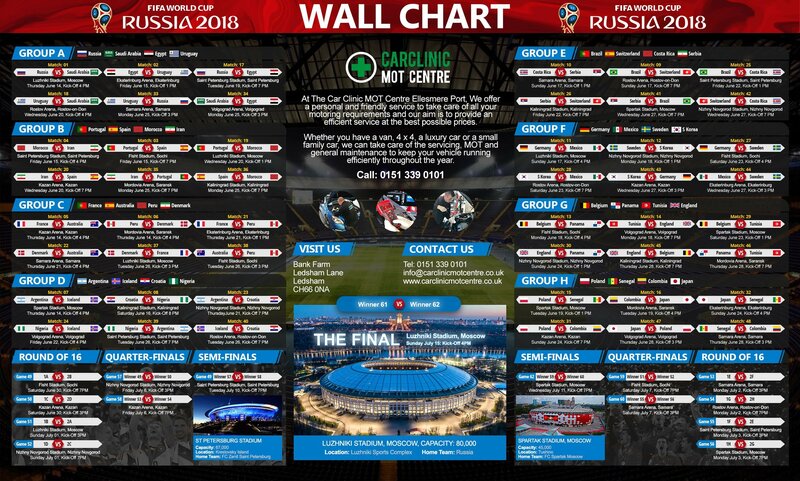 To help you to plan your viewing schedule over June and July, we have designed a World Cup 2018 Wall Chart to show you every fixture for every team. Let’s cheer on England for a World Cup Win! The World Cup 2018 is almost here – and as excitement grows towards the tournament in Russia, you can plan in a summer’s football viewing. The draw, last December, has England playing in Group G with Belgium, Panama and Tunisia. Fortunately, all of the group matches are scheduled at times to suit the majority of workers’ schedules. Getting into the knockout stages in Russia might seem a tough ask for Gareth Southgate’s squad of young players, who average fewer than 20 caps each, but the team – including local players Jordan Pickford, Trent Alexander-Arnold and Jordan Henderson have a hunger for a World Cup win. What the players may lack in experience, they make up for with passion, and the new-look England squad, built for the future, has impressed pundits. The team does have international experience in youth football – for example, Everton goalkeeper Jordan Pickford has only three senior caps but has played a total of 54 times for his country – beginning at under-16s level. Liverpool’s midfielder Jordan Henderson has 38 caps – and delivered some great performances on his team’s journey to the final of the Champions League this year. England may not have won a World Cup knockout match since 2006 but surely it is time for success on the international stage? For all your car repair needs, just call us at Car Clinic MOT Centre today to book your MOT Ellesmere Port and car repairs Ellesmere Port appointment at our Ellesmere Port garage. Our fully trained experts can diagnose and fix faults, and give you all the advice you need to get your car through its MOT. Call us today on 0151 339 0101.